Your favorite product: A steel ring with a pattern of steel wool B1.5 - is added to the wish list. A steel ring with a pattern of steel wool. 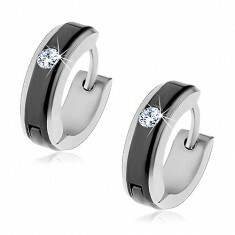 Your favorite product: Earrings made of steel 316L with hinged polished stainless steel, black band and clear zircon Z45.01 - is added to the wish list. 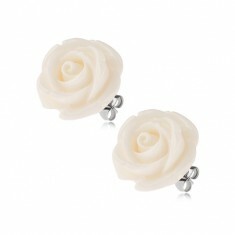 Steel articulated earrings - circular with a black stripe and clear zirconia in the middle, gently tapered edges. 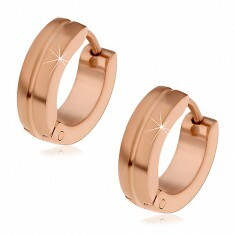 Your favorite product: Circular stud earrings made of steel, copper color, the line of steel gray zircons S81.12 - is added to the wish list. 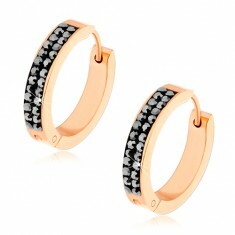 Steel earrings copper color, glossy finish, black stripe inlaid iron gray rhinestones. Your favorite product: Steel ring made of steel 316L, the effect of two rimless, 8 mm BB08.04 - is added to the wish list. 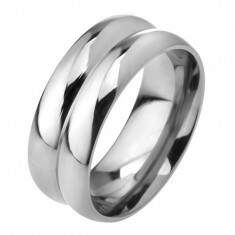 Steel hoop on his finger, shiny silver surface, two rounded bands. 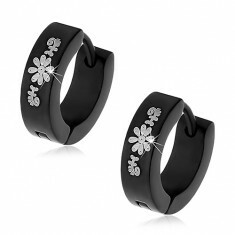 Your favorite product: Glossy black ring made of steel 316L, steel-gray print, skull with překříženými legs U6.1 - is added to the wish list. 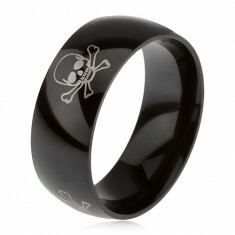 Steel ring, shiny black curved surface of the human skull and crossed bones. 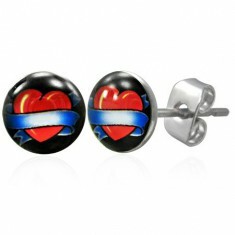 Your favorite product: Steel earrings surgical steel heart with ribbon M16.33 - is added to the wish list. Your favorite product: Black circular earrings made of surgical steel is imprinted with florets G22.11 - is added to the wish list. 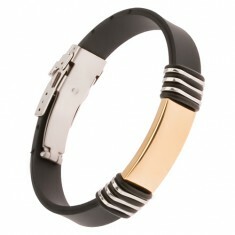 Your favorite product: Black rubber bracelet with a steel sign golden in color Y01.01 - is added to the wish list. Strap made of rubber black in color, the golden mark of surgical steel, steel and rubber ovals. 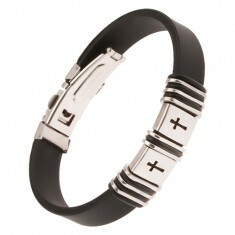 Your favorite product: Black rubber bracelet, steel signs with carved cross Y01.04 - is added to the wish list. Bracelet - black strip of rubber, grades of steel, cross, rubber and steel ovals. Your favorite product: Rubber bracelet from black rubber, black steel sign with silver belts Y01.03 - is added to the wish list. 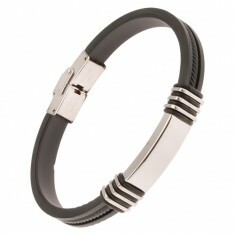 Black rubber bracelet, steel trademark black color with silver stripes, rubber and steel ovals. Your favorite product: Black rubber bracelet, lanyard, steel sign, prisms Y01.02 - is added to the wish list. 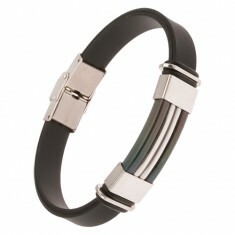 Bracelet - black strip of rubber, oblong, smooth grade of the steel, rubber, and steel prisms, rope. 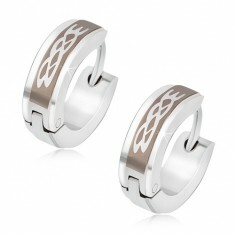 Your favorite product: Steel puzetové earrings, Baby S10.06 - is added to the wish list. 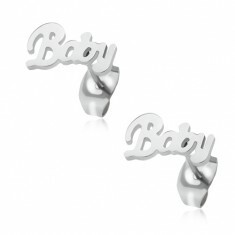 Earrings made of surgical steel with puzetovým polished stainless steel, glossy surface silver color, inscription Baby.